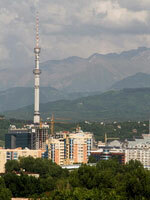 Almaty is the Southern capital of Kazakhstan, and at the same time if the largest city of the country. 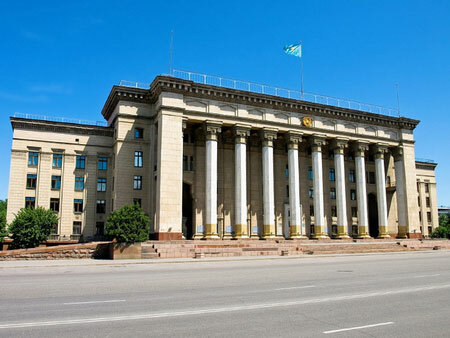 Officially it is more than 10 years is not the capital of the country, but it is still the important cultural and industrial center with 1,5 million of population. 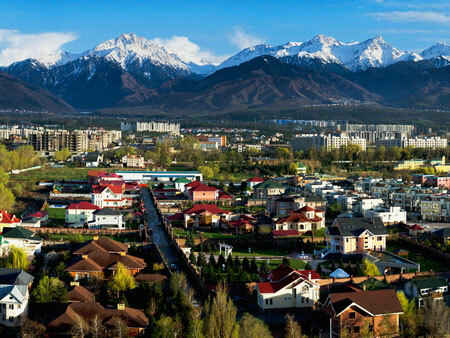 The city is called “Southern Capital”, because earlier it had the highest administrative status in the country, and it is located in Southeastern part of Kazakhstan, on the frontier of northern range of Tien Shan Mountains, Alatau. 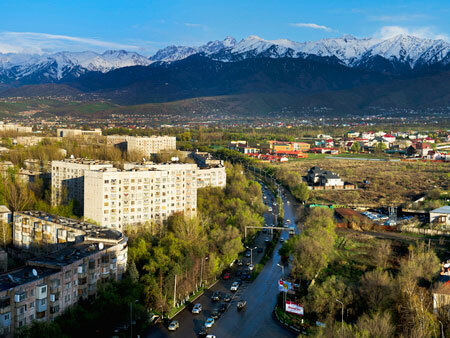 The name Almaty is translated as “full of apples” or “father of apples”. The climate is humid continental and due to the difference of height over sea level, the temperature is often changed not only between seasons but between different hours of the day. The southern part of the city is placed rather higher than northern one. This fact is negatively reflected on ecological situation of the city: the area of high gas contamination is appeared. 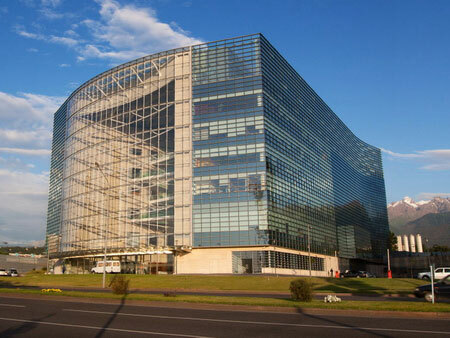 It is also promoted by intention of people to live and to work in the center, big quantity of cars, building and etc. 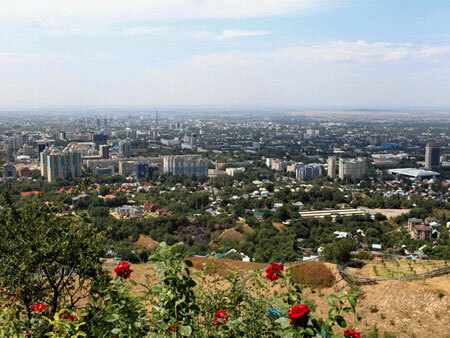 But the struggle for the ecology of Almaty is under way – 8 thousand of hectares of city area is occupied with parks, gardens, alleys and boulevards. 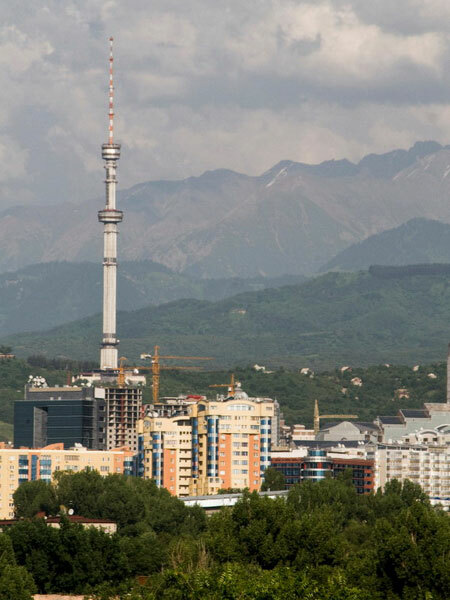 It is worth to notice that Almaty is in the top 30 most expensive cities of the world, and in some parts of the city it can seems to you that you are in one of the European megalopolises – the abundance of billboards and highways jammed with new foreign cars is everywhere. But the city has its own color: some time ago, during the mass settlement, the residential districts (so-called dormitory districts) were constantly built here, which were divided among the representatives of different nations, settled in Almaty, and acquired its unique national features, by which you can recognize the belonging of this or that quarter to certain diasporas. Also city has two rivers – Bolshaya and Malaya Almatinka. 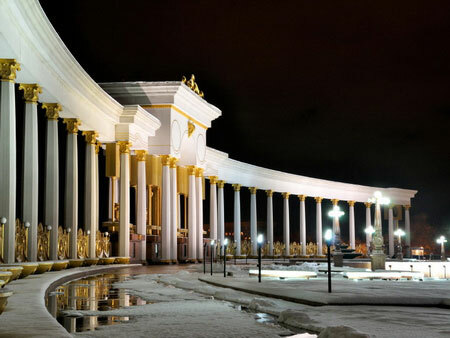 More than 40 years ago the water reservoir was created on the Bolshaya Almatinka, which became the recreational zone for many townspeople. And about 15 minutes’ drive outside the city there is the well-known skating stadium “Medeu” and alpine skiing track “Chimbulak”. 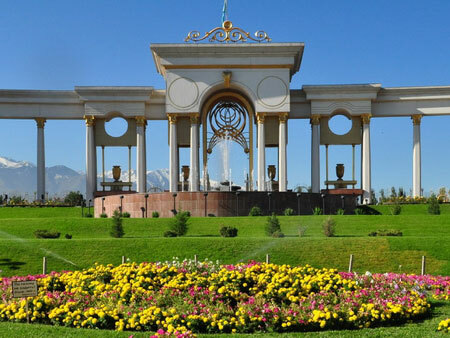 Today, the economic and cultural, administrative and political importance of new capital of Kazakhstan – Astana - grows more and more, but Almaty – the former center of the country, taking 9th place in the world by area, still remains the bright, vivid and progressive city.